My team and I shot an exciting westernwear campaign this fall for Cinch western wear, filming in Washington state with Jade Corkill, world champion team roper, and Heith DeMoss, champion saddle bronc rider. Both Jade and Heith are competing this week in the National Finals Rodeo in Las Vegas —— check them out if you get a chance. Good luck, boys! This westernwear campaign was a blast to shoot. The speed of rodeo requires sharp attention to the gear we are using. Split seconds stand between you and the perfect shot. 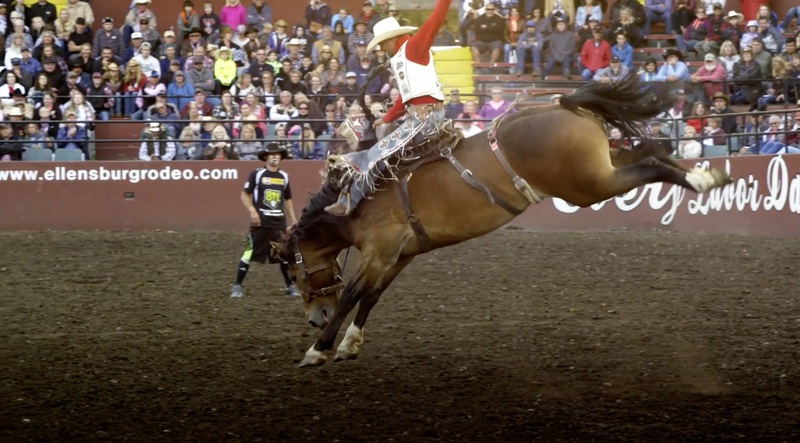 Fortunately, we were able to shoot motion and stills, which really let us capture the spirit of rodeo and the intense speed of the action. Director’s update: our Cinch Westernwear commercial won a Telly Award! Watch the winning commercial below!